And it makes me want to listen to myself. Is it the work I m doing or the life I m living? I m in confusion again. And as I fight my own war within, I wonder where the strength comes from? What about people who are in the midst of tougher battles? Where do we draw the strength to carry on each moment n each day? And then I found this drawing as I approached the lobby. I have been walking into this building everyday . But no I haven’t been . I haven’t seen this till today. 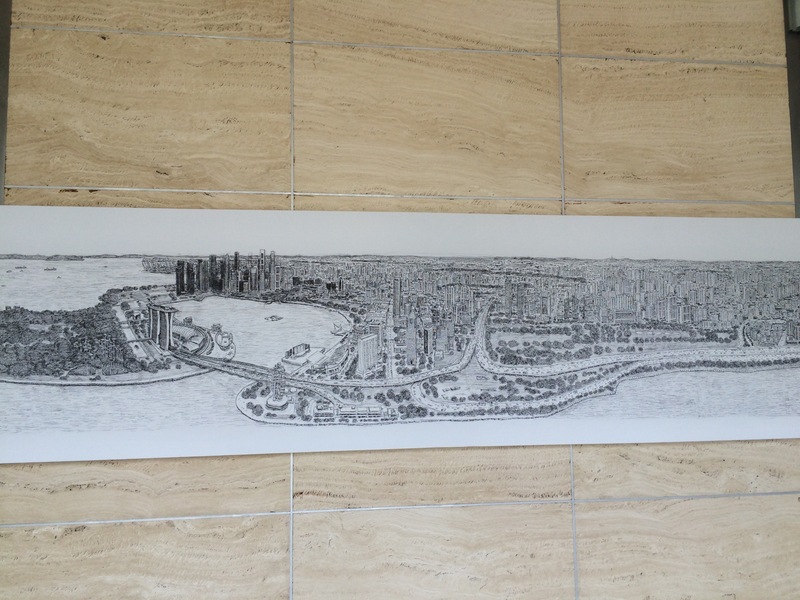 The drawing commissioned by SPH as a gift to Singapore for her 50th birthday next year. 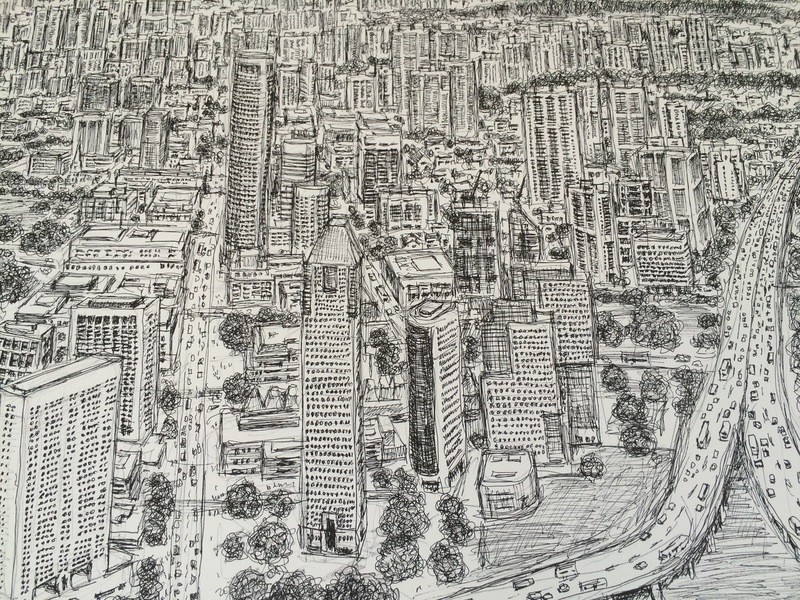 Drawn by Stephen Wiltshire . The savant. As I looked at the drawing, I got my answer. The strength is in this. That is no matter how hard, go on. Go on. GO on. GO ON. And you will be the amazing thing .